Tamaracks? Hidden Pond? Believe it or not, this is in Michigan's Lower Peninsula. I barely spotted this hidden gem one day when driving back from a scenic tour with Robin Ostrowski. We didn't stop, but I made sure to visit the next day near sunset for some interesting front lighting. This location is near Pyramid Point off of M-22. I was awe struck by what I saw when I actually walked down to the ponds edge. The hidden gem held a beauty I have a hard time explaining in words, the scene was no easy feat to capture either. 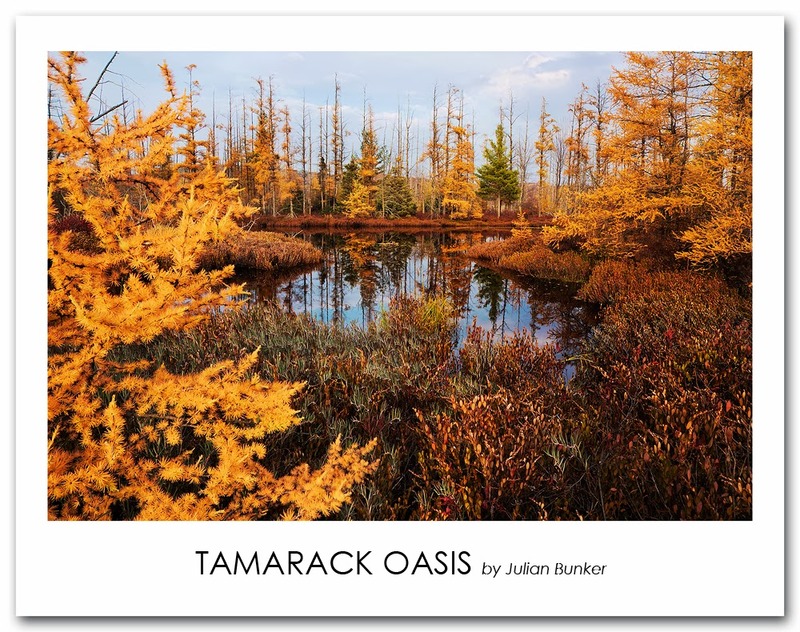 The glowing tamarack in the foreground was far too close to capture sharply while keeping in mind the background. I decided to implement focus stacking for this photograph, as I have done quite a lot recently due to depth of field limitations. I took four photographs at the same exposure and focused at different zones of focus at F/11 and latter combined them using PS. One more photograph was taken at a faster shutter speed for the highlights in the sky. I would love to here some feedback on this photograph, positive or negative, I hope everyone enjoys. Canon 6D, Canon 24-105L (@24mm), CPL Filter, ISO 100, F/11, Four shots at different zones of focus at 1/15th of a Second, One shot at 1/40th of a Second.